This entry was posted in Australia Australia Immigration Visa Australia PR Australian Skilled Visas and tagged Australia Visa Investment Visa Skilled Worker Visa on April 12, 2016 by Blog Author. Individuals who are looking to work in Australia could receive a quicker result by applying for Australia skilled worker visas through its SkillSelect program. 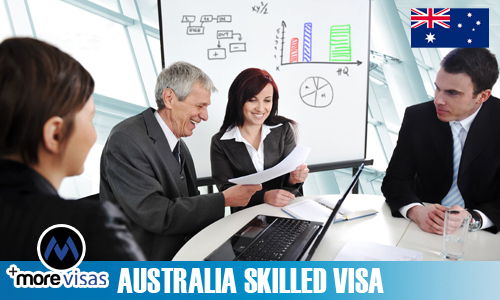 SkillSelect is a service that handles skilled migration program of Australia. It helps to make sure that the skilled migration program is based on the economic requirement of Australia as the latest round of applications has now started. It actually supports the Australian government in handling who could apply for skilled migration. The time taken by the SkillSelect for processing an application of visa has been minimized. SkillSelect program also assists in addressing shortage of skills in regional areas as it permits the migrants for indicating if they are looking to reside and work in Australia. It is beneficial for the employers of Australia who are currently experiencing shortage of skills in regional areas in selecting the potential candidate and it also helps the government to settle down the migrants in regional areas of Australia. Skilled workers and business persons who are looking to migrate to Australia should first submit an EOI through SkillSelect that includes data like job experience, English skills, education details and nominated occupations. An EOI is an sign that the applicant will like to be considered for Australia skilled worker visa but it is not a application for visa, it means that the applicant could then be find and nominated for skilled visas by employers of Australia or they might get an invitation from the government of Australia to lodge an application for visa. All the individuals who are interested in points based skilled migration to Australia or innovation and business investment visa program would require to sent an EOI and get an invitation to apply for visa application. The SkillSelect has speed up the process of visa application, the document gets quickly assessed as requested documents could be offered through ImmiAccount. Applications which are incomplete can take much time to get processed. Many visas could be applied through SkillSelect that includes Business Innovation and Investment Visa, Business Talent Visa, Skilled Nominated Visa and the Skilled Sponsored Visa. The visas like Temporary skilled worker visa, employer nomination scheme visa and the RSMS visa should be applied for invitation by an approved employer under SkillSelect.